Travel brochure "Reisen in die UdSSR - Sommer 1936." Published by Intourist. 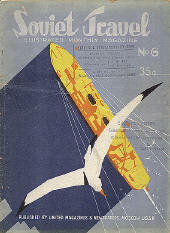 Magazine "Soviet Travel No. 6, 1932." Published by United Magazines & Newspapers. Moscow U.S.S.R. Front cover. Magazine "Soviet Travel No. 6, 1932." Published by United Magazines & Newspapers. 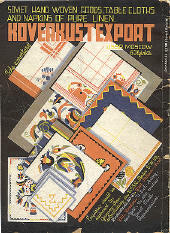 Moscow U.S.S.R. Advertisement for "Koverkust Export" on back cover. Magazine "Soviet Travel No. 6, 1932." Published by United Magazines & Newspapers. 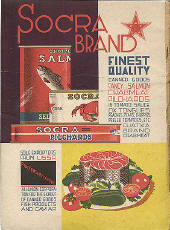 Moscow U.S.S.R. Advertisement for "Socra Brand" on inside of front cover. Travel brochure "Leningrad," circa 1932. Published by Intourist. 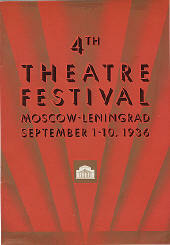 Travel brochure "4th Theatre Festival Moscow - Leningrad September 1-10, 1936." Published by Intourist. Designed by Nikolai N. Jukov (thanks to his daughter for this identification - 2009). 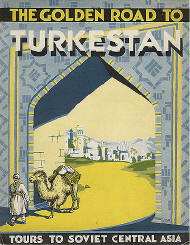 Travel booklet "The Golden Road to Turkmestan - Tours to Soviet Central Asia," 1932. Published by Intourist. Signed "Ronan." 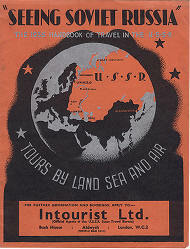 Travel magazine "Seeing Soviet Russia - Tours by Land, Sea and Air," 1935. Published by Intourist.